After seeing this hotel on a Blackpool backstreet, Dizzy has drawn the conclusion that I shall be forsaking politics and the media for a new career as a Blackpool hotelier. And in other news today, Tony Benn announced his defection to the Conservative Party. Today was the day I realised that Boris had it in him to be a first rate politician. You see, in my heart of hearts I have always wondered if he had the self discipline to get there, or even the passion. His speech this afternoon to the Conservative Conference was a barnstormer, laced with humour (but not too much), with real substance. It was a speech which said to me: "You can take me seriously. I'm in it to win it". The delivery was good and the content was good. And the even better news is that my LITTLE BOOK OF BORIS is so far the number one conference bestseller at the Politico's stand! 1230 There was a time when the opening speech of the conference by the Party Chairman was a must for all those attending. Today the hall is a quarter full. I'm sitting here listening to a discussion chaired by Caroline Spelman with the devolved Tory leaders. Someone really needs to sort the sound out. Truly terrible. Off to a fringe. 1200 Hague delivers a barnstormer of a speech - full house. 11am The nightmare for any conference organiser is that the entire sound system fails. Cue the sound system failing. *10am Spotted on a flight from Gatwick to Manchester, none other than Francis Maude. Just as well Dave junked the Gummer/Goldsmith air taxes this morning, isn't it? * Dizzy is not a happy boy. He is not thinking, he's just apoplectic. Despite having sent his pass application to Fingerprint Events in early July, he remains pass-less. ConservativeHome reported yesterday that the Police had processed all passes. This morning Dizzy was told: "Your pass is still with the Police". Is history repeating itself? * Who should I run into in the queue for passes but none other than The Brute (Bruce Anderson)? "Thoroughly brilliant column in the Telegraph on Friday," he barked. "Jolly good stuff". Should I be worried? Following last week's list of Britain's 100 most influential people on the Left, Brian Brivati and I have compiled a similar list for people on the Right. The first installment (positions 100 down to 76) are published in today's Sunday Telegraph (short introductory article HERE, list and short profiles HERE). The rest of the list will be published over the next three days in the Daily Telegraph. I might as well say now that you will all disagree entirely with the position of every single entry. Being on the right does not just mean support for the Conservative Party, so the list contains figures from UKIP, right of centre pressure groups, businessmen, bloggers and the odd celebrity. The term "right" encompasses both the libertarian and authoritarian traditions. You can be socially liberal as well as socially conservative and still be classed as on the "right". Matt Wardman has very kindly created some blog buttons for people to use on their blogs. Click on any of the images to enlarge them, then save them to your hard drive, upload the image to your blog provider and then insert the relevant code into the template. I'd like to provide the code myself, but haven't been able to work out how to do it. It's going to be a busy conferences for yours truly. 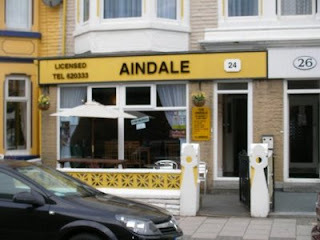 If you're going to Blackpool and you're a reader of the blog, do say hello! These are a few of the things I'll be doing. But that's the only comfort that can be drawn. The Brown-Cameron comparisons in the YouGov poll do not flatter the Tory leader and this week must be used to narrow that gap. The most interesting point from the YouGov survey was that 58% of people think Labour would win an election now, but might not if Brown delays calling it. That's a crucial finding. There was positive coverage in the Mail this morning for a £2,000 tax break for families, and a hint that George Osborne will announce plng term plans to abolish inheritance tax. Let's hope there are a few more policies like these, which will appeal to a whole swathe of people in the centre and on the right. The consensus seems to be that Brown will call an election on October 8th, the first day Parliament returns, with November 1st or November 8th being the two probabilities. I also understand Gordon Brown has a good stunt planned to impinge on the Tory conference. Now there's a surprise. There's a tradition that each broadsheet carries a major interview with a leading Conservative on the Saturday before the Tory conference. This year David Davis drew the short straw and landed an interview with Helen Rumbelow and Alice Miles from The Times. Why do I say the short straw? Because being interviewed by a double act means that there's twice as much of a chance of an off the cuff remark being blown out of all proportion and misinterpreted. In this interview they try their best to draw the implication that DD hasn't quite given up on the leadership. Do they succeed? Well, read the interview HERE and judge for yourselves. The GUIDE TO POLITICAL BLOGGING 2007 is now available. You can buy it from Politico's (£9.74) or Amazon (£14.98). This is the final list which will be published on this blog (ok ok... I get the hint). When compiling a list of top blogs last year, due to constraints, I did it all myself. I scored each blog with ten criteria and out of that came the rankings. Naturally, it was all very subjective. With more time available this year I asked fellow bloggers and blog readers to come up with their Top 20 or Top 10 blogs. These were then fed into a spreadsheet, and the list of Britain’s Top 500 political blogs emerged. In some ways, it is similar to my own list last year in that many of the recognised names appear at the top of the chart. But there have been some significant new arrivals since last year’s edition was compiled, several of which feature high up the chart. Before the analysis let’s look at a few facts. So the lesson is that although right wing blogs still dominate the upper reaches of the chart, left of centre blogs are showing signs of coming to life and challenging the right. I full expect to see three or four left of centre blogs join the ‘big boys’ over the next twelve months, although at the moment it is difficult to see who they might be. Kerron Cross is best placed but keep an eye on Rupa Huq. I should say I got 60% more votes than the second placed blog Guido Fawkes, and double that of third placed blog Dizzy Thinks). Dale’s Diary and PoliticalBetting.com. They are, if you like, the Chelsea, Manchester United, Liverpool and Arsenal of the UK blogging fraternity. You then have a few teams who might challenge in a good year – Dizzy Thinks (Everton), Devil’s Kitchen (Newcastle) and Recess Monkey (Spurs) – a few new comers who fizz into their first year with huge promise – Spectator Coffee House (Bolton), Norfolk Blogger (Wigan) and Ben Brogan (Reading) – and then a whole group of clubs wo are quite happy with a mid table position – Croydonian (West Ham), Archbishop Cranmer (Middlesbrough) and Tim Worstall (Manchester City) spring to mind. There are several blogs emerging from the equivalent of the Football League Championship – Caroline Hunt, Bob Piper and the Watford supporting Kerron Cross among them. But it is further down the leagues that you find several blogs with Premier League potential. The Liberal Democrat supporting Quaequam blog, right wing ranter Donal Blaney, The Waendel Journal and Trotskyite Dave’s Part would certainly be among them. The challenge for all the blogs outside the top echelons is to build traffic. There is a lot written about the growing influence of UK bloggers, but there are only five or six blogs which could be said to have a mass audience. They are Guido Fawkes, ConservativeHome, Iain Dale’s Diary, EU Referendum and Political Betting. Each of these blogs has a daily readership into five figures and monthly page views of several hundred thousand. Few other blogs manage more than 1,000 daily visitors. Blogs like Dizzy Thinks, which I happen to think will break into the big time in the next twelve months, have steadily built traffic over the last year but may need one big hit to make the breakthrough. Quality of writing and insight will always win through in the end. The last twelve months has also seen several journalistic blogs spring to the forefront. The Spectator Coffee House blog is one that I thought was destined to fail because between five and ten people write for it. I thought it would be difficult for it to obtain ‘personality’, a key ingredient for success for any blog. How wrong I was. Within a few months it established itself as a daily ‘must read’, way ahead of any other mainstream media group blog. Ben Brogan is another print journalist who has taken to blogging like a duck to water. The secret of his success is that he provides snippets of insight which would never make it into the Daily Mail. His readers know he is ‘in the know’. Similarly, Nick Robinson’s success as a blogger is because he writes about things which would not make his news bulletin, or he provides added insight to an item which did. There was a time when Adam Boulton’s blog was streets ahead of Nick’s. Not any longer. No one knows where UK blogging is going to be headed over the next twelve months, least of all me. All I do hope is that next year I will be asking you all again to vote for your Top 20 blogs. And when you do, I imagine that there will be quite a few changes at the top of the leaderboard. So here's the Top 500. My capacity for linking has reached its end. To find out who the next 200 are in the Top 500 I'm afraid you'll have to buy the BOOK! This is an extract from a speech given by Culture Secretary to the Royal Society on 13 Sept. Click HERE for the whole thing. If you must. Now, none of this is to say it hasn’t been a difficult year for television. It has. Of course, a politician talking to a journalist about trust is a bit like a City banker talking to a Premier League footballer about pay restraint. But, even if I’m in no position to teach broadcasters any lessons, the same thing applies to us both. In both politics and television, you devalue the only currency you have if you forfeit the trust of the public. I’m glad to see that there is a widespread recognition that something has seriously gone wrong and that it needs to be put right. Lessons need to be learned. But there is a right lesson and a wrong lesson to draw. The right lesson is that broadcasters and producers need to respect their audience. You need to put your house in order, and if you don’t there will be a clamour for OFCOM and the BBC Trust to take further action. The wrong lesson is that this shows the public are now liable to give up on public service broadcasting. Actually, the episode shows the opposite: an idea is dying when it no longer warrants any comment, not when it provokes outrage. The public outcry showed that people still rely on broadcasting for accurate and truthful information. Contrast that with people’s expectations of the internet, where people understand that not everything they see will meet the same high standards as they expect from TV and radio. It is in the very nature of that medium that people can say anything legal they want, and then be judged in the court of public opinion. At the end of a bad year, I don’t think the bell is tolling for broadcasting. I do think people feel let down. But you only get to feel let down if you hold something in high regard in the first place. all. People will make their own minds up whether to believe the hospital or a Labour Minister but his position tonight looks entirely untenable. Labour uses an events management company called Potcakes to stage their events. Apparently this company have been put on standby to work exclusively for Labour for the whole of October. I understand they expect the commission to be "confirmed" on Tuesday. Draw your own conclusions. Vicky Ford - one of the four finalists for the Grantham and Stamford selection - has discovered that ten per cent of the elctorate could be effectively disenfranchised by an autumn election. I've just been talking to the elections officer.She in the middle of putting together the new electoral register, effective from 1st December. (Have you returned your form?) In my rural district there are about 105,000 voters, she currently estimates that 10,000 people have changed their addresses or are new on the role. But currently those new details don't stand. i.e. approx 10% of the voting population in this area are affected.If an election is called now Gordon Brown has to give 18 working days notice. Each of those 10,000 people will then need to be written to asking if they want their new details to be the ones that stand. If they do they have to write back with a deadline 11 working days before the election. (Not a lot of days there...) If someone has moved within the polling area they can still vote as if from their old address - but many may not have. I'll be posting the final list from my blogging book (yes, OK, I can hear the sighs of relief from here in Tunbridge Wells) later on today - probably this evening. This is the list YOU voted for and it's the Top 500 political blogs in the UK. And do tune in to Sky News at 11.30pm tonight, where I'm doing the newspaper review. Former A Lister Ali Miraj has written a piece for the New Statesman HERE outlining what he would do if he were David Cameron. Well, it's a thought! Actually, he has some rather good ideas in some areas. ConservativeHome is reporting that John Bercow was last night readopted as the Conservative candidate for Buckingham at the next election. I hope this sees an end to the speculation that he might defect. Like most people in politics or the media I am totally reliant on my laptop computer. Despite various people trying to wean me off Sony Viaos and telling me how wonderful Apple Macs are, I’m a creature of habit, and like to stick to what I know. I’ve had my current laptop for a year, but I know I should get a new one. How do I know? Because I can no longer see the letters on the keyboard. I was introduced to typing at the age of ten when my father bought me an old iron typewriter from Cambridge market. I spent hours as a teenager bashing out football league tables with two fingers – hitting the letter keys for all they were worth. 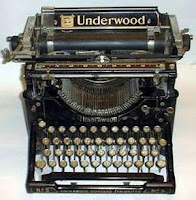 The trouble is, I still type as if I’m using an iron typewriter. I may seem a gentle sort, but when I type I can be vicious. Brent's first African-Carribean Mayor is to defect to the Conservatives later today. Bob Blackman, Conservative Councillor for Brent and Harrow will make a formal announcement later. Labour Councillor Bertha Joseph, who represents Kensal Green was first elected to Brent Council elected in 1986. Cllr Joseph was the borough's first African-Carribean Mayor, holding the post for 12 months in 1998 and 1999. She was also Mayor for 2006/07 during Brent's celebration of the abolition of the slave trade. It was never meant to be like this. Labour was meant to roll into Bournemouth this week muttering about the failing leadership of Gordon Brown. The Tories would be going into their last ever Blackpool conference in a buoyant mood, with the polls showing a clear lead over Labour. Talk of an autumn election would be for the fairies. Except that Gordon Brown has confounded everybody, probably including himself. His conference this week has reflected his first three months in power – full of confidence and assertiveness. Brown continued his quest to steal the Tories' clothes and much of his speech could easily have been given by a Conservative leader. One image from this week continues to haunt me – the sight of Alan Milburn and Peter Mandelson professing loyalty to Gordon Brown and declaring what a wonderful Prime Minister he is. This public display of total loyalty from two of Brown's sternest critics offers a warning to those travelling to Blackpool this weekend. In 2003 Iain Duncan Smith warned his party: "Unite or die." That warning should be heeded by all Tories next week. Let there be no doubt. Urged on by the Brown spin doctors, the media will be on "division hunt" next week. Any criticism of David Cameron by the chairman of Middletown Conservatives will be blown up into a crisis for the Tory leader. A speech by Sir Bufton Tufton (the politician formerly known as Michael Ancram) hinting at the need for a different course will make front-page headlines in the Mirror. Be warned. It will happen. Ah, I hear you say, but if we can't have a frank debate at a conference, what has the world come to? Isn't the fringe where politicians traditionally say what they really think? In normal circumstances, yes. But if the party can't recognise the need for unity when it could face a general election within weeks it will have demonstrated it has learnt nothing from the past decade and shown itself unfit to rule. Make no mistake, the electorate will be watching. Every politician has a ''naughty brain", the one that craves attention. (Norman Tebbit, are you listening?) It's so much easier to say what you think and hang the consequences. You're flattered to be asked to speak at the fringe meeting of the Daily Bugle and there's part of you that knows that they're expecting payback. Well, this year, zip it. Keep your thoughts to yourself. Lynton Crosby, the bombastic Australian who ran the party's last election campaign, used to suggest to all MPs and candidates that they look at themselves in the mirror every night and ask the question: "What have I done today to make a Conservative victory more likely?" Tories at all levels would do well to heed that advice in Blackpool next week. In a strange way, Gordon Brown may have done the Conservatives a favour and shaken the party out of its complacency. Surely now every Conservative realises that they are up against the greatest machine politician since Lyndon Johnson. There's only one way to beat him – and that's to be determined in mind and united in purpose. Being the ''nice" party is just not enough. If this week hasn't proved the need for total war on Mr Brown, nothing will. The shadow cabinet needs to get into attack dog mode and be relentless in its exposure of Brown's failures. The party needs to be far more innovative and aggressive in the way it campaigns. It's all very well coming up with policy after policy on widgets, but at the moment the Conservatives are letting Brown get away with blue murder. They should take a leaf out of ConservativeHome's The Wrong Man website and attack him where it hurts. It's not being nasty, it's what Her Majesty's Loyal Opposition is there to do – hold the government of the day to account for its actions. Too many open goals have been missed, particularly on economic and health issues. If Gordon Brown wimps out and fails to call an election this autumn it's a decision that may haunt him for the rest of his life. The Conservatives will have had a very narrow escape and will be rejoicing in the fact that their collective bluff was not called. There is then a eight-month window before the next likely election date of May 2008. The Conservatives must use these nine months to recover the ground lost in the last three. It won't be easy, but it will necessitate a change of approach. David Cameron should open up his close-knit circle of advisers. He and his team need to continue on the path they have set out, but to widen its appeal to those who have felt excluded. This doesn't mean a reversion to the ''core vote strategy", but it does mean expounding on core principles a little more often and a little more volubly. There will be plenty of opportunities to do so, the first being Mr Cameron's speech on Wednesday. To read Telegraph readers comments on the article click HERE. I hear that there are serious discussions going on within the SNP about the possibility of Alex Salmond standing against Gordon Brown in Kirkaldy if there is an Autumn election. They seriously think they could defeat him. That's not for me to judge, but it would also risk jeopardising Alex Salmond's hard won reputation for being a serious politician. He's now the First Minister. That's a position for statesmen, not party political hacks. Much as I would enjoy watching the spectacle of the political equivalent of mud wrestling, I doubt whether Salmond has much to gain from taking part. It would be a self indulgence of the first order. Up at 6.30 for the Andrew Marr Show, Sunday. No time for breakfast. Dash to studio. Dash back. Enter hotel. Enter breakfast room. Nice table by window. “Tea please.” Huge meal – full monty. Up to my room, third floor. Can’t find room 3301. Foreign chambermaid says “not existing”. The fool knows nothing. I show keycard. Wrong hotel. Profuse apology. Hasty exit. Several people have complained to me in the comments and by email that yesterday I only posted once, and today there have been several hours between posts and that comment moderation has been too slow. I am sorry that posting has been light over the past couple of days - work commitments have been such that I haven't had a lot of spare time. You will see why when you read the Telegraph next week... I do have to earn a living too, you know! COMING TOMORROW: The Top 500 British Political Blogs, as voted for by you. Hmmmm. I'm told that Regional Labour Party organisers have been called together tonight for an urgent meeting. Wonder what that would be about then. Jon Craig tells us on the new Boulton & Co blog that John Bercow isn't attending the Tory conference. Nor is Patrick Mercer. Nor are at least a dozen other Tory MPs of my acquaintance. Jon Craig draws the inference that John Bercow may be defecting next week. I'm not sure the logic quite fits that just because you're not going to conference you're about to jump ship, but in today's febrile climate, who knows? I have to admit that there is a lot of chatter about two possible Tory defections being announced at the weekend. I'm not going to indulge in speculation on who it might be as I reckon that it's fairly libellous if it isn't true. In a further sign of turmoil and panic in the Conservative Party, Shadow Home Secretary and defeated leadership candidate David Davis has cancelled all his appearances at fringe meetings in Blackpool. I don't think I am breaking a confidence if I tell you that DD told me some time ago he wouldn't be speaking at any fringe events at this conference. So far from cancelling "all his appearances", he had never accepted any in the first place. Rejoice! Jack Straw is a hero. The four occasions in which he has been a 'have go hero' have inspired him to want to change the law to ensure that people who tackle intruders in their own home won't be prosecuted. Having called for just such a strengthening of the law, you'd imagine I would welcome such a move, wouldn't you? Well, I would, if I thought he was being genuine. But I have just listened to one of the most cringeworthy interviews I have ever heard on the Today programme. It's clear that this is yet another cynical piece of spin and an attempt to hoodwink Tory voters into thinking Gordon Brown is really one of them. You have to admire the audacity, but I suspect people are already seeing through it. Sadly Sarah Montague didn't ask the killer question, which is what has changed since Charles Clarke carried out a review of the law in this area three years ago and concluded that no change was needed? Of course, Straw had the opportunity to change the law himself when he was Home Secretary for the first few years of Tony Blair's government. It's almost as if Gordon Brown has issued a decree to his cabinet ministers o each come up with something to appeal to Tory voters, isn't it? But that could never be. After all, we're in a new era of politics where these cynical things just don't happen, aren't we? We should take pride that, under a Labour government, Britain - this small number of people on this small island - is the fifth largest economy in the world. Didn't we always use to say we were the fourth largest? This happened, of course, under Brown's watch -- in Dec 2005. I think it's strange no one's pointed that particular line out -- seems a strange thing to boast about. 'Under this Labour government, we’ve lost our position as the fourth largest economy in the world…'. What do David Cameron, Ming Campbell and I have in common? UPDATE:Some hilarious suggestions so far - some even true, but not the one I'm looking for. UPDATE Thur 9am: Daily Referendum got closest. The answer is that David Cameron, Ming Campbell and I all go to the same dental practice. You really did come up with some hilarious answers though. And some highly insulting ones too! Channel 4 News have a YouGov poll tonight showing an eleven point Labour lead. Even the most cautious of Prime Ministers would surely be tempted by that. It is another sign that the momentum towards an election is becoming almost unstoppable. I am now going to stick my neck out. Rather than say on the one hand this and the other hand that (see virtually every political journalist in Bournemouth!) I now predict that by this time next week Gordon Brown will definitely have called an election. Of course, now that I have predicted it, it is certain not to happen, in which case I shall take full credit for it. I thank you. Apparently there were 32,000 stop and searches in London last year, a marked increase on the year before. No fewer than twenty per cent of the people stopped were of Asian background. This raises a number of questions about racial profiling, which is clearly being utilised. A week or two ago I was in a car driven by a British Asian man. We encountered a security check along the Embankment. He was pulled over. After the Police had completed their checks I asked him if that happened regularly. He said it did, but he didn't mind at all. He said he was ashamed that people of his religion had made anyone with his skin colour a suspect and he felt he had to put up with this minor inconvenience. He recognised that political correctness has to go out of the window when dealing with terrorism. Am I just getting crusty and right-wing, or is this an outrageous piece of BBC bias? This graphic is on the main front page of the BBC website HERE. The headline "Sinking in" over the climate change story suggests that climate sceptics are getting the message at last, having been too stupid to "get it" before. The various click throughs invite people to "take a look at the evidence and see what you think". Naturally enough the only evidence provided is to prove that man made global warming is about to cause the end of the planet. Nowhere is there any article posing any counter arguments, allowing the reader to take a balanced look at the evidence and then make up their own minds. competent chancellor, creating stability and a growing economy. This would be the same Judith Symes who appeared before Poplar & Canning Town Conservatives a few short monthd ago wanting to be their candidate, and whose main pitch to them was how appalling Gordon Brown is. She complains "elitism and exclusivity are at the heart of the party." What a hypocrite. She lives in one of the most exclusive riverside developments in Docklands - Free Trade Wharf on The Highway. How she can refer to "exclusivity" in Tower Hamlets from the decadence of her yuppie luxury apartment beggars belief. I doubt there will be many people in the Tory Party shedding tears about this. I certainly won't be. David Miliband is dying on his feet. The audience has gone to sleep. And I love the way the cameras keep cutting to Dennis Skinner. Do they do this during every speech? The GUIDE TO POLITICAL BLOGGING 2007 is published this week. Featured among the 288 pages are a myriad of blog lists. Now for the TOP 100 RIGHT OF CENTRE BLOGS. This list was compiled by a panel of 12 right wing bloggers. Bearing in mind who they chose as Number 1 I should make clear that I had no part in it! The right of centre blogosphere is thought by many to be in a state of rude health. It is more diverse, radical and influential than its left of centre counterpart, but still there are only seven or eight right wing blogs which have a mass readership. This list was ranked by a group of right of centre bloggers. Their decision reflects in large part the rankings of the Top 500 list, chosen by more than 500 bloggers and blog readers, with one or two exceptions. The exceptions are James Cleverly and the Waendel Journal who are ranked more highly in this list, and Ellee Seymour who is in the top ten on the main list but only scrapes into the top twenty on this list. Ellee has established herself in the front line of British political blogging, but her softer, more personal approach may not have been to the the panel’s liking. You can’t win ‘em all! Another female Blogger who has made an impact is Caroline Hunt, whose ‘devil may care’ attitude has attracted a number of admirers. Of the top four, Dizzy Thinks, in the person of Phil Hendren, has emerged as possibly the most improved blog of the year, which is reflected in his second position in this list and third in the overall list. He has broken a number of stories and his forensic analysis continues to impress. He doesn’t let his love of IT geekery dominate the blog, and he manages to find story after story in the pages of Hansard, which the mainstream media then follows up. Guido Fawkes has not had his best year and he would be the first to admit it. His Newsnight ppearance alongside Michael White was the blogging equivalent of David Davis’s 2005 party conference speech. It wasn’t quite as bad as it appeared at the time, but it did do him – and ndeed the blogosphere – a considerable amount of damage. Despite that, his traffic levels have held up well. ConservativeHome has dropped to number four in this list and I am slightly at a loss to know why. It has had an excellent, if overdue, redesign and although it went through a rough patch earlier in the year it is back to its fighting best. Not everyone likes its editorial stance, and it will be interesting to see how Platform 10, its new Cameroonian rival, competes in both analysis and storygetting. It will do well to rival Tim Montgomerie’s contacts, but perhaps that’s not the point. In fact, there is no reason why Platform 10 and ConservativeHome should be considered rivals. Time will tell. Nadine Dorries is perhaps the brightest new entrant into the blogging world. The Tory MP for Mid Befordshire has some trenchant views and she’s not backward in coming forward in expressing them, much to the chagrin of the Conservative whips. In a very short time she’s created a cult. Her blog is the one most read by her fellow MPs – and not just Tories. John Redwood has become a truly prolific Blogger. He is very different in style to Nadine, but if you want insightful analysis into the economy, regulation and globalisation, John Redwood’s Diary is the place for you! can cut you open as well. On Dawn Primarolo who moved to the Department of Health this year after a decade being "incarcerated at The Treasury. This is indeed the era of a new Dawn. Boom boom. It's the way he tells 'em.